icon: "vivacious (my face with bold cat-eye makeup, with my head tilted down and to the side, looking at the camera with a wide close-lipped smile, hugging myself)"
Looking for more active LJ friends? Post about yourself and find new people! also please spread the word! It's been years, time for another go! please share this around, the more the merrier! 2) My self-labels: queer, non-monogamous, trans, genderfree, fat-n-proud, social justice activist, artist, demisexual, expressive, anti-colonizing spiritual pagan Quaker. 3) My posts usually fall into the following categories: introspective reflections on my experiences and relationships; skill-shares about consent, intimacy, and ADHD; discussions of social justice. there are a lot of other things I write about but they're all very sporadic. 4) My favorite things to read on my friends list are: detailed self-examinations. I like social justice too but I have plenty of other sources for it -- here I NEED real intimacy, vulnerable sharing and efforts for growth. 5) My friendship dealbreakers are: slurs, fat-phobia, cis-centrism, selfishness when it gets to the level of damaging others. 8) If everyone alive would agree to change their behavior in a single way regarding ONLY me, I would want it to be: nobody notices when I'm naked, so I can always get away with no clothes if I want. I hate having to wear clothes, especially when it is hot. Hi! I saw this entry on the livejournal home page, explored your journal a little, and added you because I enjoyed reading what little of your writing I've read so far, and think you have a unique perspective. Anyway, I won't be hurt if you aren't interested in my journal, but just wanted to let you know that I'm reading yours! oof, it is terrible that it would take a magic wish for you to get number 8, when it should be a given! 3) My posts usually fall into the following categories: Real life day to day stuff, with some weekly things like reading wednesday and music monday. 4) My favorite things to read on my friends list are: real life day to day stuff. 8) If everyone alive would agree to change their behavior in a single way regarding ONLY me, I would want it to be: I would want people to include me more. you seem like someone I'd get along well with! and your name seems familiar but I have a terrible memory. Have we LJ-met before? 4) My favorite things to read on my friends list are: about your life and thoughts! It sounds like we'd get along - 37 in London and posts about my life with photos. Friends? 2) My self-labels: Not really sure what this means. - Satire/snarky social commentary (usually social media, but not always). - Writing and other artsy stuff. - Real life, but... I'm not one to recall everything I did today. My RL entries are either things I need to vent about, things I need to squee about, or more anecdotal. 4) My favorite things to read on my friends list are: It honestly depends more on the person, I think. I will say I definitely like having friends who talk about the sort of things I mentioned above. 5) My friendship dealbreakers are: The usual suspects, really - racism, homophobia, etc. Additionally, I find it hard to connect with people who only post bullet points. 6) I post entries on average once every [day, 2 days, week, etc]: Once a day, sometimes once every two days. 7) I consider myself more knowledgeable than the average person (average from people I've known) on these topics: Meh. I don't know the answer to that. 2) My self-labels: Not big on labels. A survivor? Pro-choice? 3) My posts usually fall into the following categories: Life in Japan, My family, my boyfriend, Pictures, Pictures, Pictures, weight-loss. 4) My favorite things to read on my friends list are: Every day life posts. You may find your life uneventful but to someone who can't walk a mile in your shoes, it can be the most interesting thing! 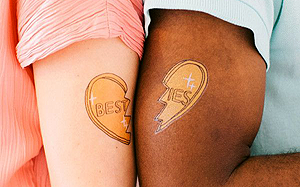 5) My friendship dealbreakers are: Close-mindedness, racism, liars. 6) I post entries on average once every [day, 2 days, week, etc]: Week. When I'm busy, I post bi-weekly. 7) I consider myself more knowledgeable than the average person (average from people I've known) on these topics: Absolutely nothing! I'd be lying if I said I possessed a vast amount of knowledge on anything. People seem to think I know a lot about a lot of things though. 8) If everyone alive would agree to change their behavior in a single way regarding ONLY me, I would want it to be: I don't think there is anything I would change about how people behave towards me. Everyone has been pretty amazing. Plus, if everyone treated me the similarly, it would be quite dull for me! I'm adding you if that's all right with you. I liked what you wrote here and we have a common friend, the lovely ragnarok_08 :). 1) My age and location: 35 and based in Belfast, Northern Ireland. 2) My self-labels: This isn't something I have a lot of practice at, but: Writer, poet, cis female, Feminist, sensitive, clear communicator, perceptive, neuroatypical in several ways. I Googled other words for 'explainer' and 'decoder' came up. I like that. 3) My posts usually fall into the following categories: I talk about my life which tends to fall into musings about mental health, long-distance relationships, whether to keep my current job or move, poetry readings I take part in, working through past memories. 4) My favorite things to read on my friends list are: The above! Um... Childhood memories, thought processes, mental health, friendship musings [with backstory, not just "Ugh, I hate Sam" with me not knowing who Sam is]. The story of how you got to where you are. 5) My friendship dealbreakers are: I suppose the usual isms. People who disrespect me personally. People who talk to me on my LJ in a way I have expressed that I am uncomfortable with. And people who never speak to me. Ever. Like, in over a year. 6) I post entries on average once every [day, 2 days, week, etc]: I aim for twice a week. Sometimes I only manage once. 7) I consider myself more knowledgeable than the average person (average from people I've known) on these topics: Communication, the workings of depression and recovery cycles, public speaking and audience response. 8) If everyone alive would agree to change their behavior in a single way regarding ONLY me, I would want it to be: I get caught up in miscommunication a lot because people don't listen/read the specifics of what I'm saying. So if people would respect me enough to listen and treat me the way I would like to be treated, that would be awesome. Repeatedly saying the same things gets to a person after a point. ^points up^ I highly recommend this one! 2) My self-labels: strange,weird,bisexual, left leaning music ,philosophy, and science loving geek. 3) My posts usually fall into the following categories: music,books,work related,other things. 7) I consider myself more knowledgeable than the average person (average from people I've known) on these topics: I am too humble to say. 8) If everyone alive would agree to change their behaviour in a single way regarding ONLY me, I would want it to be: nobody notices when I'm naked, so I can always get away with no clothes ,either at home or when it is a hot day. 1) My age and location: I recently turned 26 (yesterday!) and I currently live in Buenos Aires, Argentina. 2) My self-labels: social justice warrior, asexual, feminist. 3) My posts usually fall into the following categories: weekly happenings (don't worry, I don't describe my minute by minute life), outfit posts, shopping hauls, beauty, the ocassional work rant, thoughts on different topics. 4) My favorite things to read on my friends list are: I think it'd be best if I told you what I do not like to read/hardly ever have something to comment on: fandom posts and minute by minute happenings. It's not that I don't like this at all, but I find myself not finding anything to comment on. 5) My friendship dealbreakers are: Definitely any -isms or -phobias. 6) I post entries on average once every [day, 2 days, week, etc]: Every week. 8) If everyone alive would agree to change their behavior in a single way regarding ONLY me, I would want it to be: Be more tolerant of the fact I'm different than what society says I should be. I can't stand it when people criticize hardly my fashion choices, or when they can't understand my sexuality. 1) My age and location: I’m 44 but in mind and lifestyle, am a lot younger. I’m in the UK. 2) My self-labels: Deep, creative, writer, blogger, internet geek, radio presenter, kind, analytical, justice orientated, introvert, goofy, daydreamer, free thinker, imaginative and more probably. 3) My posts usually fall into the following categories: self analysis, relationships, friendships, thoughts on life, social issues, psychological discussion, creative hobbies, goals, the past, the future, hopes, dreams and every day life logging. 4) My favorite things to read on my friends list are: The above and seeing people post about personal issues I am too scared to. I love open people. 5) My friendship dealbreakers are: Lack of acceptance of people who deviate away from supposed social norms, mean spirited people or those who blame the less fortunate in life on the less fortunate. 6) I post entries on average once every [day, 2 days, week, etc]: Once or twice a week but if I had a wider core group of solid friends here, I’d try and post more. 7) I consider myself more knowledgeable than the average person (average from people I've known) on these topics: I’m not sure how to answer this one right now and I didn’t want my lack of thorough reply here to prevent me from still seeking a couple of soul sister like connections. 8) If everyone alive would agree to change their behavior in a single way regarding ONLY me, I would want it to be: Again, same as above. I’m not sure at this moment but these are cracking questions. I'm going to add you, if you don't mind. I really like your seldom description. Mom of two also. I hope you don't mind if I add you. 5) My friendship dealbreakers are: racism, sexism, homo and transphobia, etc. Intolerance in general really. 6) I post entries on average once every [day, 2 days, week, etc]: once or twice a week. I think I'd post more if I thought people were reading. 8) If everyone alive would agree to change their behavior in a single way regarding ONLY me, I would want it to be: seeing me as a person WITHOUT seeing my skin color first. I feel like we'd get along well! queer feminist advocates are my favorite kind of friends *smiles* wanna add each other and see how we get on? 3) My posts usually fall into the following categories: General life updates. I also volunteer with LJ tech/customer support and will post [publicly!] about any site-wide issues so people are aware of them. 4) My favorite things to read on my friends list are: Anything! 5) My friendship dealbreakers are: Bigots. 6) I post entries on average once every [day, 2 days, week, etc]: It varies, but at least monthly. Sometimes I have a lot going on and post upwards of once a week. 7) I consider myself more knowledgeable than the average person (average from people I've known) on these topics: Aromantic stuff, how LiveJournal works, Pogo.com. I had to smile. Your self labels are similar to mine. Wanna give being friends a go? My profile is pretty much representative of me if you wanted to check. 4) My favorite things to read on my friends list are: Just about anything. I like reading about people's lives in different parts of the world.